If you like the site, Please Donate to help with cost of upkeep. Welcome to the database for Hunting & Working Boykin Spaniels. 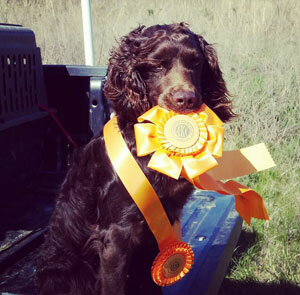 HuntingBoykinPedigree.com is a free online database for the field Boykin Spaniels. (DO NOT include TITLES when searching or adding dogs. This may result in a false search or duplicate dogs)..